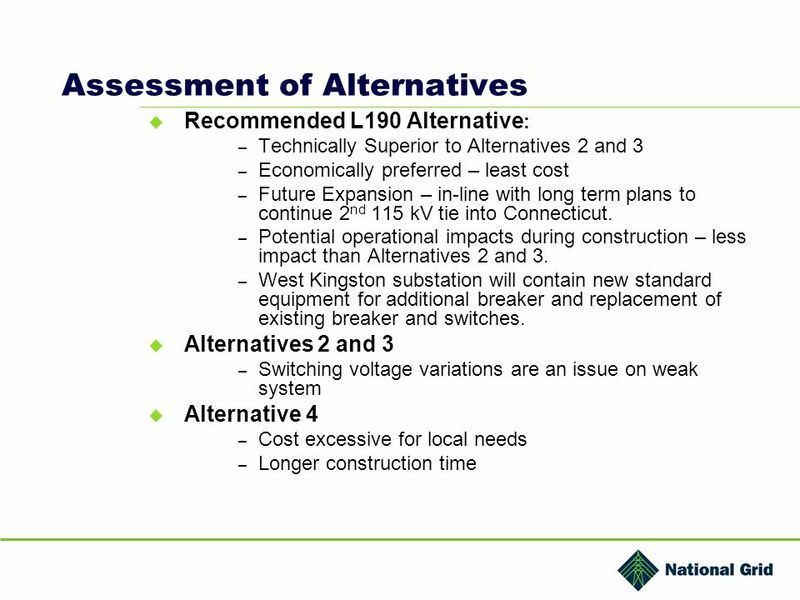 Southwest Rhode Island Transmission Supply Study Long Term Needs and Solutions. 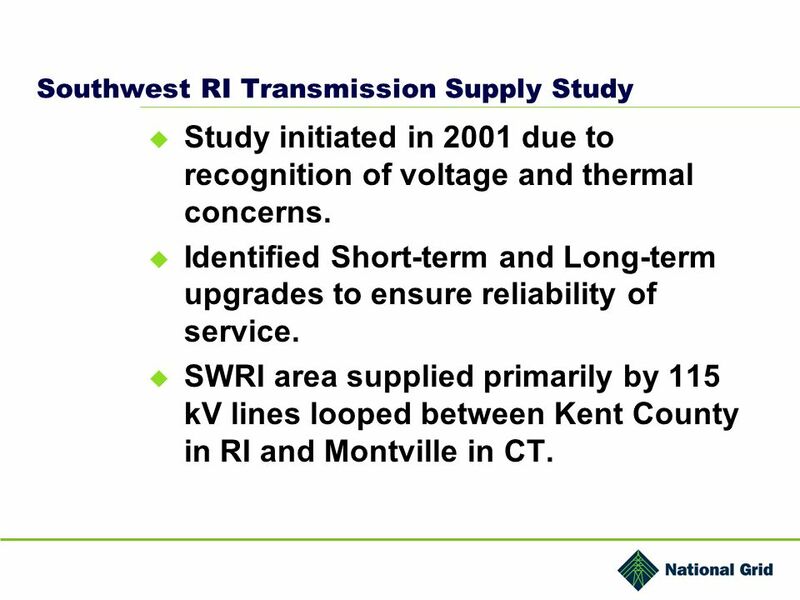 2 Southwest RI Transmission Supply Study Study initiated in 2001 due to recognition of voltage and thermal concerns. 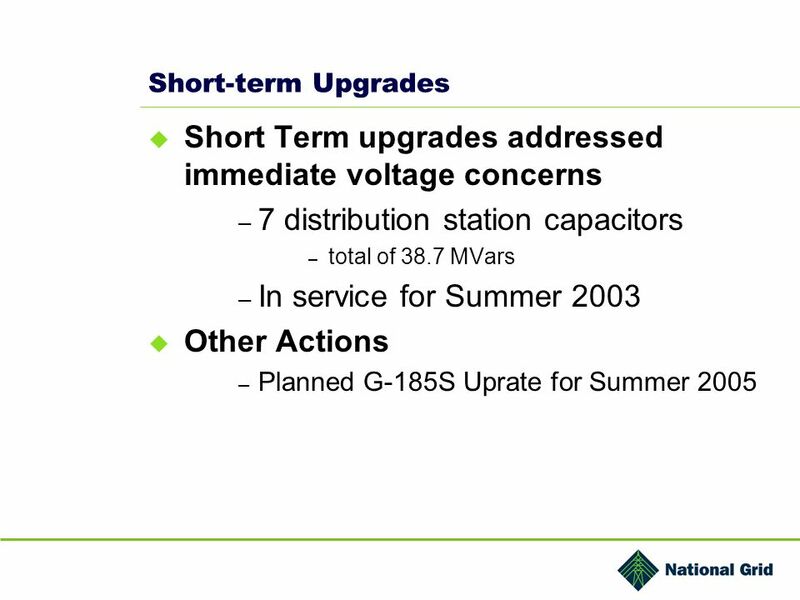 Identified Short-term and Long-term upgrades to ensure reliability of service. 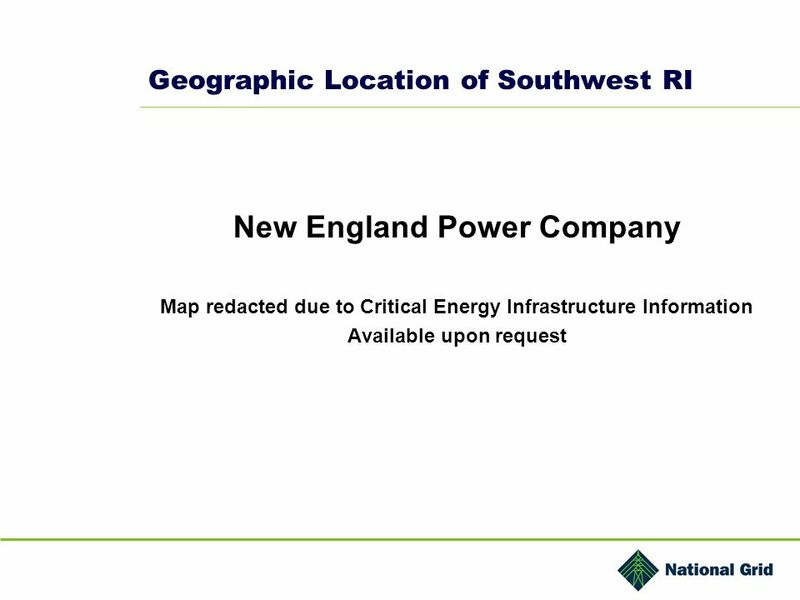 SWRI area supplied primarily by 115 kV lines looped between Kent County in RI and Montville in CT.
4 Southwest RI Area Reliability Concerns Voltage Concerns – Loss of G-185S – Voltages drop to unacceptable values of less than 0.9 p.u. 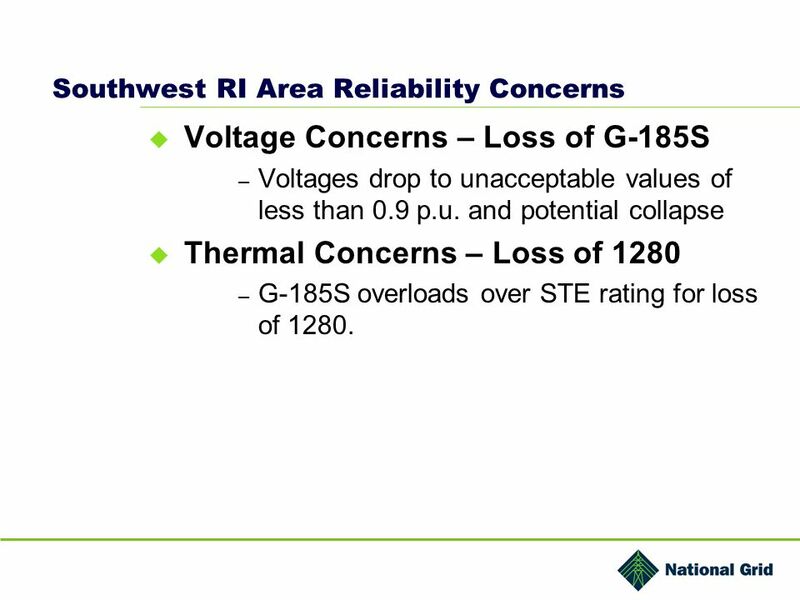 and potential collapse Thermal Concerns – Loss of 1280 – G-185S overloads over STE rating for loss of 1280. 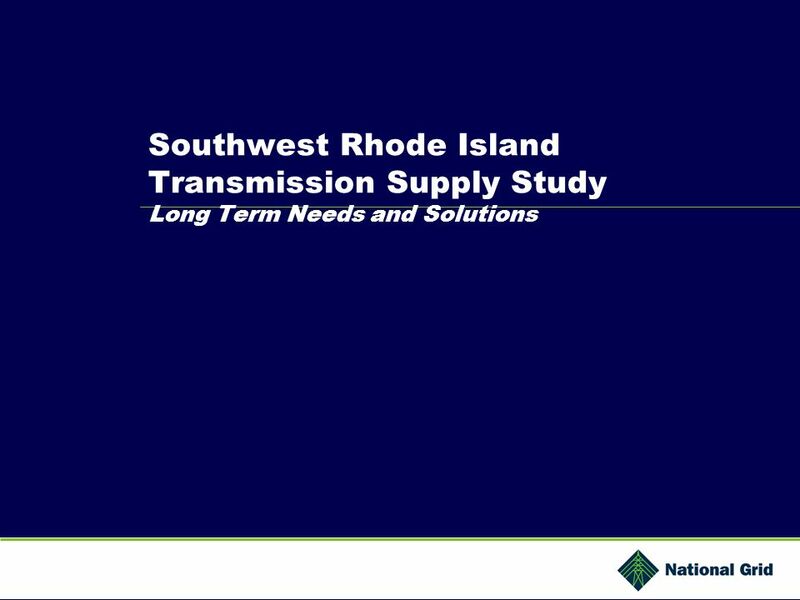 Download ppt "Southwest Rhode Island Transmission Supply Study Long Term Needs and Solutions." 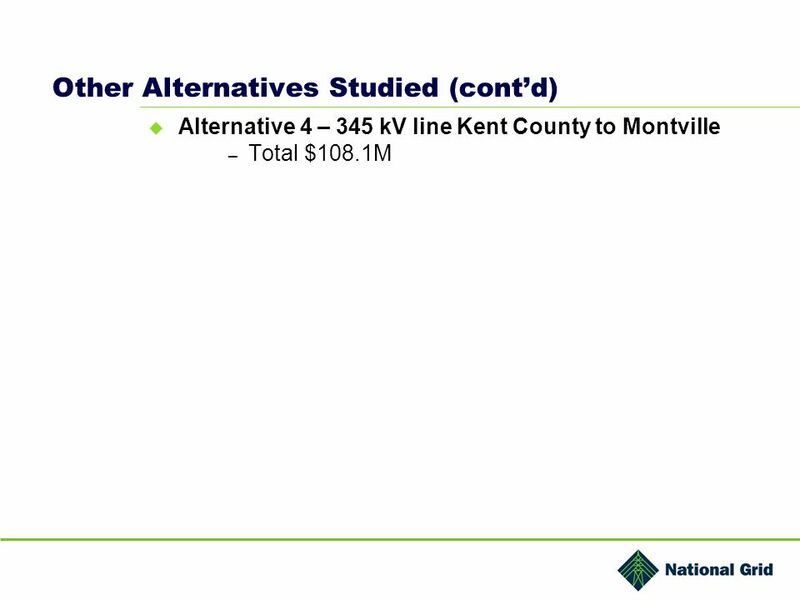 GEORGIA POWERS SMALL POWER PRODUCERS FUNDAMENTALS. TransWest Express and Gateway South WECC Planning Coordination Committee David Smith, National Grid October 25-26, 2007 Vancouver, B.C. 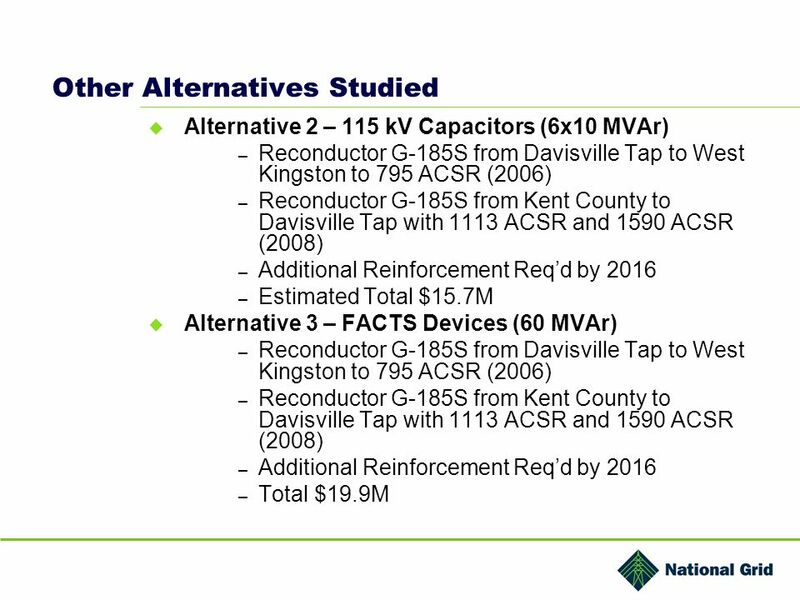 1 Smart Grid Vision Electric Grid Modernization Steering Committee Grid Facing Technology Subcommittee January 14, 2013. 1 Entergy Gulf States, Inc. (Louisiana) Proposed Transmission Reliability Projects Entergy Transmission Planning Summit New Orleans, LA July 8, 2004. Company LOGO Cleco Planning Process. Models Cleco uses SPP’s annual series of models to determine the NERC reliability violations. Cleco uses SPP or VST. La Crosse 161 kV Capacitor Addition Northern MAPP Subregional Planning Group April 3, 2007 Daniel Kline. 2008 Transmission Expansion Plan Updates Tom Seeley, E.ON U.S.
1 Entergy Louisiana, Inc. (North) Proposed Transmission Reliability Projects Entergy Transmission Planning Summit New Orleans, LA July 8, 2004. Houston Import Evaluation Cross Texas Transmission & Garland Power & Light ERCOT RPG Meeting August 27th, 2013. Eau Claire Area Study Northern MAPP Subregional Planning Group January 11, 2007 Daniel Kline. 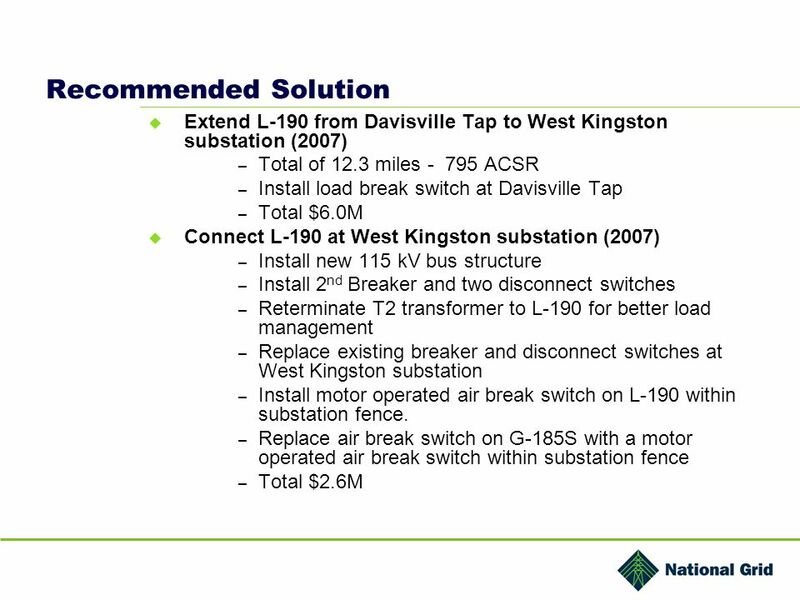 Cleco Transmission Planning Summit 2011 Coughlin Transmission Operations Center April 15, :00 – 11:00am. Twin Cities Minnesota Zone Meeting Xcel Energy October 27, 2004 St. Paul, MN. 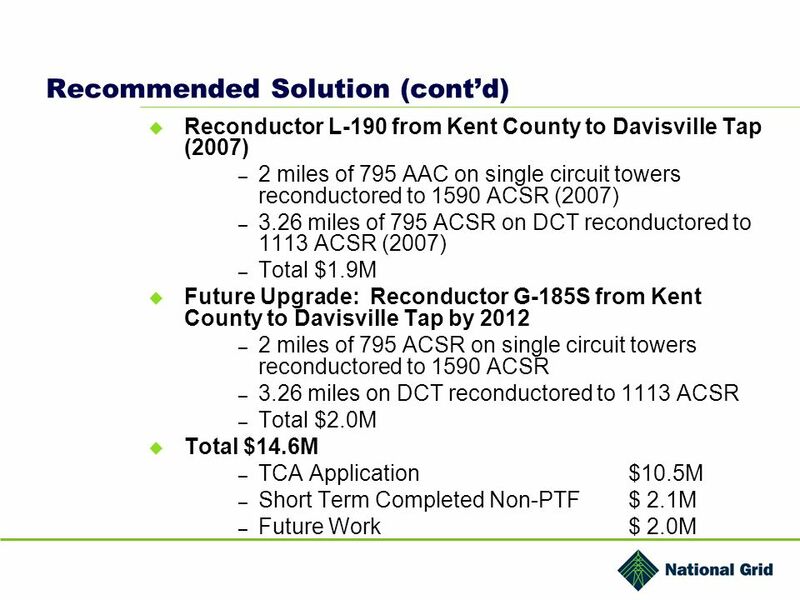 KURTEN SWITCH PROJECT (BRYAN/ COLLEGE STATION AREA UPGRADES) Technical Advisory Committee December 1, 2005 Transmission Services. Oncor Electric Delivery Company LLC TOGETHER WE DELIVER ODESSA UPDATE Jan 22, 2013 Presentation to ERCOT Regional Planning Group Austin, TX Mike Juricek. 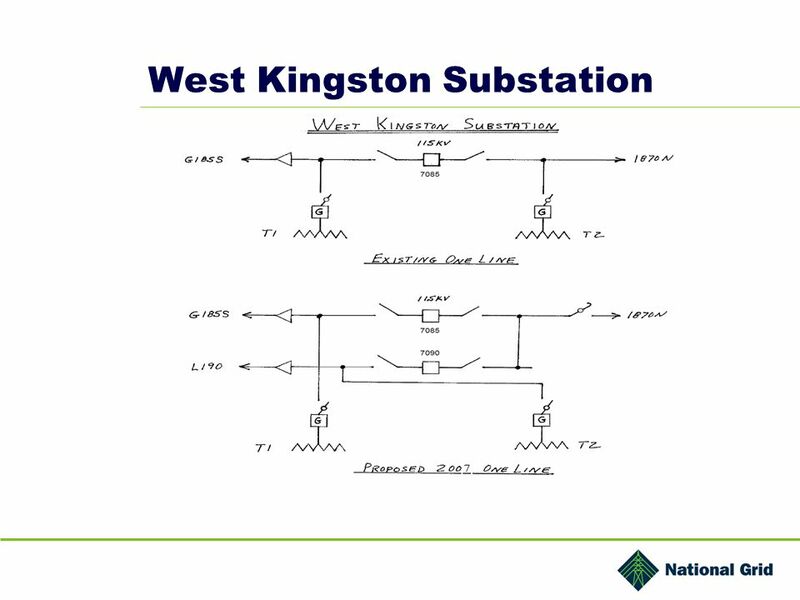 Disconnect Switches There are many purposes for disconnect switches in substations and power lines. They are used to isolate or deenergize equipment for. 1 Local Area Planning Update to TRANSAC – July 29, 2015 Mitigation Update, Uncertainty Scenarios, and Next Steps. 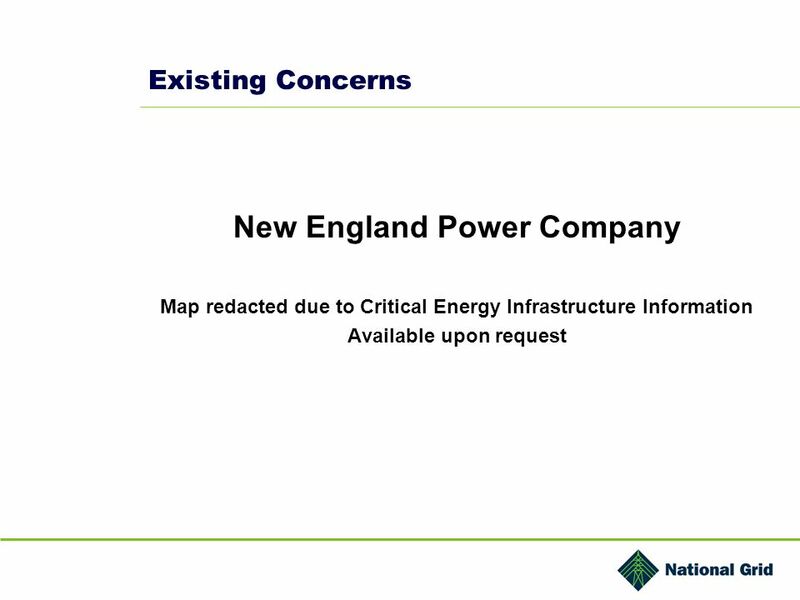 1 1 1 Central Maine Power Company Local System Plan Presentation Planning Advisory Committee Meeting October 21, 2010.